A deadly terror plot to detonate a bomb on the New York Federal Reserve Bank building Wednesday morning was thwarted, thanks to a several months’ long sting operation conducted on behalf of the FBI New York Field Office’s Joint Terrorism Task Force (JTTF). Detectives from the New York Police Department, working with the JTTF, also closely monitored the would-be bomber’s activities. 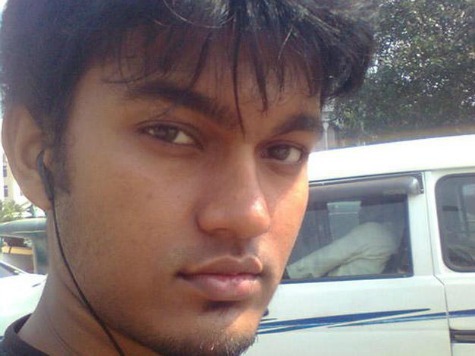 Quazi Mohammad Rezwanul Ahsan Nafis, a 21 year old Bangladeshi man who entered the United States on a student visa in January 2012, is alleged to have attempted to provide material support and resources to Al Qaeda and to use a bomb to cause damage to persons and property within the United States. According to the criminal complaint filed in the Eastern District of New York, Nafis had come to the United States specifically for the purpose of recruiting individuals for a terror cell and carrying out an attack on American soil. Unbeknownst to Nafis, one of the individuals he attempted to recruit turned out to be a confidential human source (CHS) for the FBI. In early July of this year, the complaint alleges, Nafis told the CHS that he intended to wage “jihad” in the US, advising that “all Muslims and Muslim sheikhs in the United States are “Talafi,” meaning not true Muslims.” Nafis indicated that he was in touch with another co-conspirator in New York and a contact in Bangladesh. Between the months of July and October, numerous meetings and consensually recorded conversations occurred between Nafis and the FBI source, wherein plans progressed for an attack on potential targets in New York’s financial district. Claiming to have Al Qaeda contacts overseas, Nafis indicated that he intended to return to Bangladesh to obtain training from the terrorist organization, and he planned on executing an attack on a high-ranking official in the US. But by September, Nafis had switched his plan again for reasons not specified. Instead of the NY Stock Exchange, he would attack the Federal Reserve Bank building on Liberty Street in NY. When pressed by the undercover agent about the reality that his attack “would result in a large number of civilian casualties, including of women and children,” Nafis indicated that he understood and that he still wanted to proceed with the attack. Apparently, the would-be bomber was even hoping to disrupt the November elections. When Nafis expressed in a September 27th meeting that he wanted to travel home to Bangladesh before carrying out the attack so that he could see his family first, the undercover FBI agent – still posing under the guise of an Al-Qaeda facilitator – indicated that the terrorist organization authorized the use of a remote controlled device for the attack in lieu of a suicide bomb. Nafis also expressed at that time a desire to disrupt the upcoming elections. “You know what, this election might even stop,” he told the undercover agent. Throughout September and October, Nafis allegedly purchased materials needed to carry out the attack and made arrangements for a warehouse to store and stage the materials. The FBI indicates that the public was not in any danger, because the undercover agent facilitated the supply of what Nafis believed were explosives, according to the agency’s press release. At Nafis’ request, the undercover agent supplied Nafis with 20 50-pound bags of purported explosives. Nafis then allegedly worked to store the material and assemble the explosive device for his attack. Nafis purchased components for the bomb’s detonator and conducted surveillance for his attack on multiple occasions in New York City’s financial district in lower Manhattan. Throughout his interactions with the undercover agent, Nafis repeatedly asserted that the plan was his own and was the reason he had come to the United States. As the criminal complaint continues, Nafis is said to have provided the undercover agent just last week with a thumb drive that contained an article he authored for Al Qaeda’s Inspire magazine, outlining his reasons for planning the attack. During the drive to the financial district on October 13, 2012, Nafis plugged the thumb drive into his computer and read aloud his article that he intended to be published in Inspire. This meeting was consensually recorded. Nafis ultimately left the thumb drive with the UC, and it remains in FBI custody. In the early morning of October 17th, Nafis met with the undercover agent to begin the day’s activities to carry out the attack on the Federal Reserve Bank building in NY. During their drive to the warehouse, Nafis indicated to the agent that he intended to carry out a suicide attack as a “Plan B” if it appeared at any point that law enforcement would thwart the attack. After arriving at the Warehouse, NAFIS assembled the purported one thousand-pound explosive device, pouring the bags containing the inert explosive material into the trash bins and placing them inside the Vehicle. He also installed components for the purported detonator. As NAFIS and the UC prepared to leave the Warehouse, NAFIS collected the empty bags that had contained the inert explosive material and placed them in the van. NAFIS then told the UC, in sum and substance, that he was collecting the extra bags because he believed that there might be residual explosive materials in the bags that would contribute to the strength of the anticipated detonation and kill more people. Before entering Manhattan, NAFIS armed the purported explosive device for detonation by turning on the cellular phone to be used in the detonator, installing the battery in the detonator and connecting the wires linking the detonator to the purported explosive materials. Upon arriving at the New York Federal Reserve Bank, NAFIS and the UC parked the Vehicle, exited, and walked to a nearby hotel. Once inside a room at the hotel, NAFIS told the UC to film a video statement Nafis wanted to make concerning the attack. During a video-recorded statement to the American public, NAFIS stated: “We will not stop until we attain victory or martyrdom.” While making his video statement, NAFIS covered his face, wore sunglasses, and disguised his voice. After completing the video, NAFIS repeatedly attempted to detonate the purported bomb by placing multiple telephone calls to the cellular telephone which he had installed as the initiating device for the detonator. By placing these calls, NAFIS was attempting to detonate the purported bomb inside the Vehicle which was parked next to the New York Federal Reserve Bank. These calls by NAFIS were observed by the UC and captured via court-authorized pen register/trap and trace devices on both the phone NAFIS used to make the calls, and the phone connected to the purported explosive device. Agents entered the Vehicle and visually confirmed that the detonator had been activated. Agents subsequently placed NAFIS under arrest. Nafis appeared in court in the afternoon on October 17th. He is charged with “attempting to use a weapon of mass destruction, in violation of Title 18, United States Code, Section 2332a; and attempting to provide material support to al Qaeda, in violation of Title 18, United States Code, Section 2339B.” If convicted, he faces a maximum penalty of life imprisonment. Read the full criminal complaint filed in the Eastern District of New York here. Read the press release from the FBI NY Field Office and US Attorney’s office here.